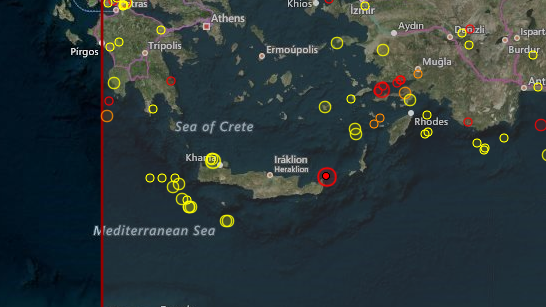 A very strong 5.2 R earthquake came in yesterday in Greece 18km from Palaiokastro Crete. We were expecting it since 2 days before the event on 23rd Janusry where we posted the expected coordinates. We claimed it would be at (33.2N, 26.3E). It is important therefore to be aware that some predicted events can materialise a day or more rarely 2 days later. Interestingly here the coordinates were very accurate at least in one direction, and 2 degrees off the other.